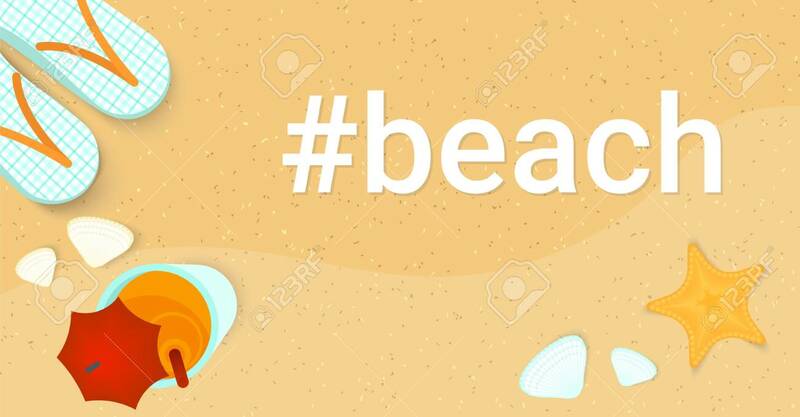 Hashtag Beach Concept Flat Vector Illustration Of Landscape Summer Banner. Top View With Seashells, Starfish And Cocktail On The Sand Woth Copy Space. Lizenzfrei Nutzbare Vektorgrafiken, Clip Arts, Illustrationen. Image 117330480. Standard-Bild - Hashtag beach concept flat vector illustration of landscape summer banner. Top view with seashells, starfish and cocktail on the sand woth copy space. Hashtag beach concept flat vector illustration of landscape summer banner. Top view with seashells, starfish and cocktail on the sand woth copy space.